Paul C. Dunham passed away peacefully at the age of 87 in Helena, Montana on January 26, 2019. He was the loving and devoted husband of the late Margaret Dunham, who passed away in December of 2012. He was born in Corinna, Maine in 1931 and grew up with humble beginnings in Vermont. Paul and his brother and sisters happily survived for many years without running water or electricity, spending their time gathering firewood, collecting sap for maple syrup and doing odd jobs to help out. He graduated from Montpelier High School in 1949, all the while working on various farms in the morning and a drug store after school. In 1950, he joined the National Guard and was eventually called to active duty in the Army 43rd Infantry Division and was shipped to Germany as part of the occupation forces. He completed his duty in 1952 as a Sergeant and returned to Vermont. His friend took him to see the dean of the University of Vermont, who invited him to enroll. He graduated with a BA in 1959 and a MA in 1963, both in political science. Paul eventually worked in the chancellor’s office at the University of Maine as the director for institutional research. He was at the forefront of computer technology at that time and used mainframes to automate many tasks at the university. With his friend Irv, he started the first credit union for the U of Maine. In 1976, he moved his family to Helena where he worked for the Office of the Commissioner for the Montana University Systems. He concluded his career as the computer center manager for the Montana Higher Education Student Assistance Corporation, finally retiring in 1994. In retirement, Paul kept busy with a variety of activities. 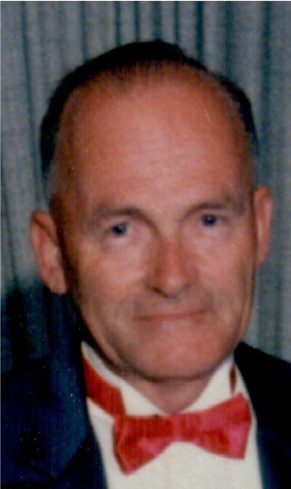 He was very active in genealogy and helped to start the Dunham-Singletary Family Connections group. He also volunteered at the Lewis & Clark Library. He and Margaret participated in several local square dance groups and travelled to square dance events around Montana. He enjoyed the outdoors, particularly hiking, running and camping. He travelled around the country to spend time with his children and grandchildren, and enjoyed playing cribbage and going to sporting events with his friends Dave and Steve. Paul is survived by his children Barbara (Kathleen) and Bruce (Diane); four grandchildren, Emilie, Audrey, Finnegan and Gwendolyn; and his sister Fay Tucker. In addition to his wife, he is pre-deceased by his brother John, and sisters Alice and Suzie. A Reception honoring Paul is scheduled for 11:00 a.m. to 1:00 p.m. Tuesday, March 5, 2019 in the Social Hall of Anderson Stevenson Wilke Funeral Home, 3750 N. Montana Ave. Burial with Military Honors will follow the reception at the Montana State veterans Cemetery, Ft. Harrison, MT. Donations in lieu of flowers can be made in Paul’s name to the Food Share of Helena (helenafoodshare.org) or the Intermountain Children’s Home (www.intermountainresidential.org). Please visit below to offer a condolence to the family or to share a memory of Paul. Paul was a wonderful man who showed me that living your life with dignity is an impeccable attribute. I will miss you Paul. My condolences to all of Paul’s family. Paul was an awesome boss and he had a great sense of humor. I know he will be missed. I am sorry for your loss. I worked with Paul years ago at MHESAC. I enjoyed my visits with him. Rarely did he miss a MHESAC team softball game! My condolences to Paul’s family. He was a great man. I am sorry to hear about my Uncle Paul’s( aka Uncle Barney to me).passing.To Barbie, Bruce and your families my deepest condolences. My sincere condolences to Uncle Paul’s family. When I was young I would see him and know him….as I got older and busier, and miles between us farther and farther, life moves along faster and faster, and we know less and less of each other…. until we meet again in Heaven. Blessings for everyone who was in my Uncles’ life. Thank you Uncle for being a part of mine. I am so very sorry to hear of Pauls’ passing. I square danced with he and Margaret many, many years ago. Wonderful people. And I would often see Paul walking. So sorry for your great loss. I enjoyed getting to know Paul at the Montana State Genealogical Library where we were both volunteers. What knowledge he had about family history and technology! It was my honor to have met Paul and his family during my stay at the Koonie Care Center. He was a delight, sharing some great stories about his life and family. His love and pride for his family was huge. How his eyes would sparkle when he spoke of them and when they were with him. Thank you all for including me and allowing me the opportunity to get to know you all. Paul was and is a gentle soul and I thank God I got to meet him . My deepest sympathies for you all but you know he is in heaven playing crib. I met Paul at Kindrick Legion Field, sitting on the third base line. He talked to my kids (who are now in their 30s) and we got to know each other over the years. Then I met Margaret and we enjoyed visiting too. I remember meeting their “kids” and grandkids at the ballpark too. It wasn’t until many years later that Paul and I discovered that he was a good friend to my brother-in-law, George Bandy. What a small world! Paul and Margaret were terrific people and always told great stories. I will be thinking of the entire family and keeping you in prayer. Please accept our deepest condolences for your family’s loss. We are thinking about you and sending our love.